You just got engaged... now what? One of the first fun things to do after getting engaged (besides picking a wedding date!) is getting your engagement pictures taken. From sweet and romantic to fun and playful, our photographers will capture all of the beautiful moments for your engagement pictures. We offer stand alone engagement photoshoots, as well as wedding packages, to document your engagement. Our photographers work in Memphis and surrounding areas, as well as in Mississippi and the rest of the Mid-South. Book your shoot today! 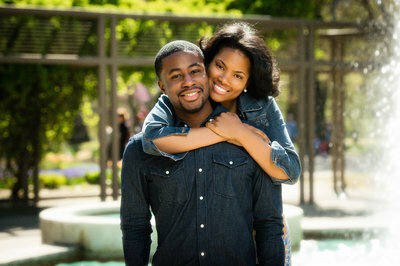 Engagement Sessions are included in most of our packages. If you would like to purchase just a session, call to reserve you date.